The City of Asheville, the largest urban center in Western North Carolina, has long been recognized as a premier destination for tourists, people seeking a healthy lifestyle, and outdoor enthusiasts. To that end, the city has created several opportunities for trail users within city limits. 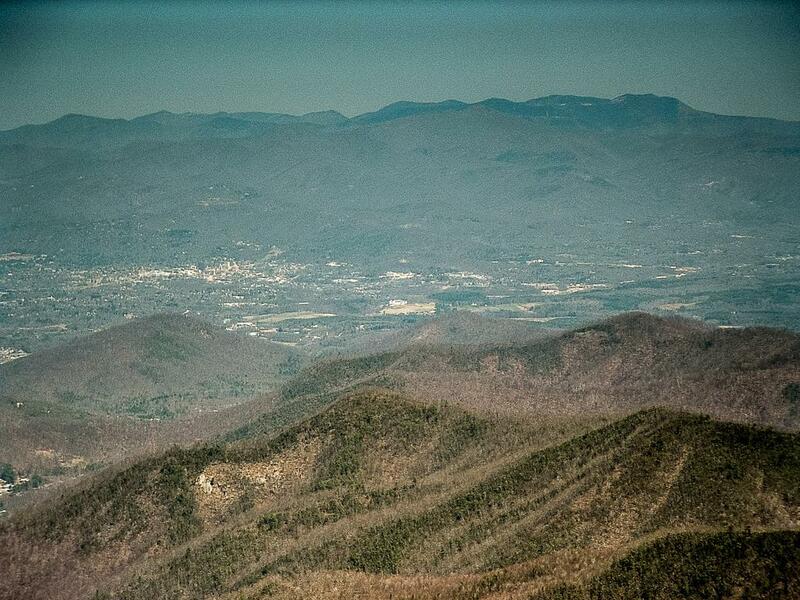 Asheville: surrounded by wilderness from some perspectives, yet recreation opportunities exist even within city limits. There are also trails near city limits on other publicly-owned and private land. From flat, wheelchair-accessible paths in an urban setting to winding, steep, dirt trails in the woods, Asheville now provides options so that trail users don't have to travel far to get outside. 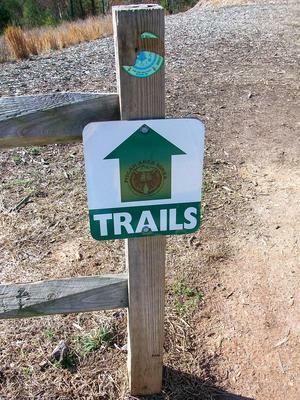 Trail recreation opportunities in Asheville include networks at several municipal parks, its Greenway system, and trails at the Western North Carolina Nature Center. A multi-use trail system is nearly complete at Richmond Hill Park, on hills overlooking a bend of the French Broad River northwest of town. This has been a great way to show that the city serious about its plans for multi-use trails on city land. The trail system consists of about 5 miles of signed trails on both old road beds and purpose-built paths. Trails twist along the piney hilltops, pass through the disc golf course, and dip down into a couple of creek bottoms near the railroad tracks and the French Broad River for a unique experience. The trails were purpose built with mountain bikers in mind; however, they're open to both mountain bikes and hikers. On a recent trip, I saw dozens of hikers and one mountain biker using the trail. It's not a huge trail system, but being so close to town, it's worth checking out. More information is coming soon! Although the situation is starting to improve, a lot of the discussion about Greenways in Asheville has thus far been about dreams and politics. However, the city has begun a multi-year, multi-million dollar project under the Asheville Greenways Master Plan which, if it gets funding and community support, will eventually offer a minimum of 29 miles of multi-use trails through 14 corridors. The greenways will connect to parks, rivers, and even long distance regional trails such as North Carolina's Mountains to Sea Trail and planned Buncombe County greenways. New construction has been happening slowly at sites around the city, but several of these greenways are well underway, with segments ready for the public to use and enjoy. Unfortunately, due to Asheville's narrow, twisty streets and winding mountain highways, and the abysmal state of city sidewalks, the city has not been very pedestrian or bicycle friendly in the past. In 2005 the City identified almost twenty-seven MILLION dollars of needed sidewalk construction, upgrades, and repairs. The Greenways project represents a major step forward for the city, from just being close to places to walk and bike, to being one itself. Sidewalks, which will be necessary to connect the greenways and serve as "missing links" between them during construction, have seen an increase in support in the last few years under recent City Councils as well. The Wilma Dykeman Riverway is a proposed project to contruct a vehicular parkway and multi-use paths along the French Broad and Swannanoa Rivers through the city. The Riverway would include a variety of recrational, art, and outdoor facilities, and connect with several Greenways. These ambitious plans, if they could be realized, would seal the deal in terms of Asheville's desirability as an outdoor destination and a place for companies to be with a high quality of living for its workers. In addition to the greenways, hikers and walkers who enjoy an urban setting can "hike" the Asheville Urban Trail, a 1.7 mile journey through city streets, past centerpieces of art, to historic markers, parks, museums, shops, and more. The Nature Center is like a small zoo - a city park which mainly features exhibits of animals native to Western North Carolina and the southern Appalachian mountains. In addition to the paths leading to the various animal exhibits, the 0.6 mile Trillium Nature Trail loops along the Swannanoa River and the forested slope above. The Nature Center charges a fee for admission (which is lower for Asheville residents). For more information about current fees, admissions, and hours, visit the WNC Nature Center Web Site. There are also trails on lands not owned by the city itself, but still within city limits. Here are some of those with a link to that area's Trailhead page. North Carolina's Mountains to Sea Trail follows the Blue Ridge Parkway through Asheville and extends in both directions from town. Many of Asheville's best hikes can be found along sections of this long trail. For more information, see Short Hikes Near Asheville. Just outside Asheville's limits lies the Pisgah National Forest. Particularly, the Bent Creek area makes a great place to hike when you don't have a lot of time to drive from downtown. Another section of Pisgah National Forest very near Asheville, the Shope Creek section, has recently been made accessible to the public with a new parking area and a few trails wind around throughout the area. We'll have more details on it soon!